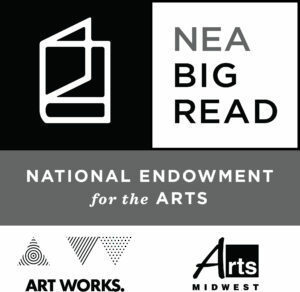 Which book will we be reading this year? 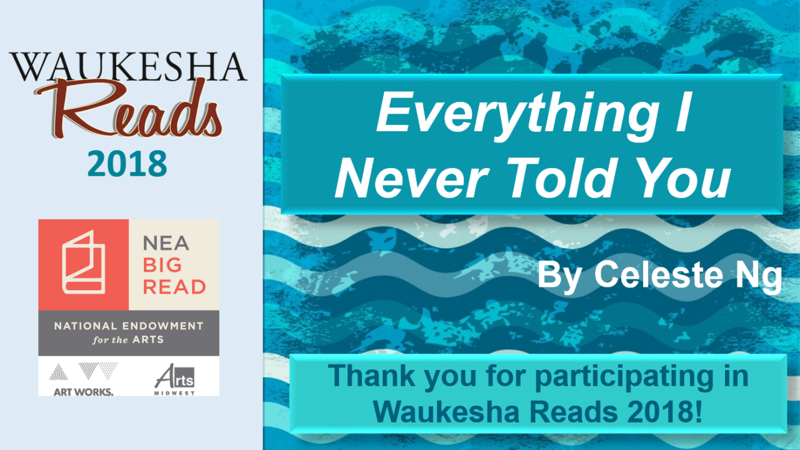 Waukesha Reads is pleased to announce that we will be featuring Everything I Never Told You by Celeste Ng as our 2018 NEA Big Read title! In a small town in Ohio in 1977, the oldest daughter and favorite child of a biracial couple — her mother is white, her father is Chinese-American — is found drowned in a lake. As her parents and siblings struggle to solve the mystery of her death, a web of family secrets emerges to reveal how fragile the relationships between husband and wife, parent and child, and brother and sister can be when ambitions are thwarted, societal pressures mount, and fears and desires are kept buried. 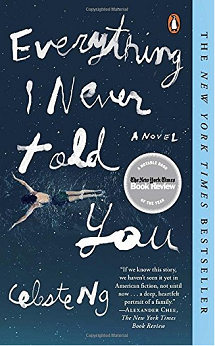 Celeste Ng’s debut novel Everything I Never Told You alternates between past and present and is told from the various perspectives of each grieving member of the family, all of whom come to realize in their own way how little they knew about the people they thought they knew best. 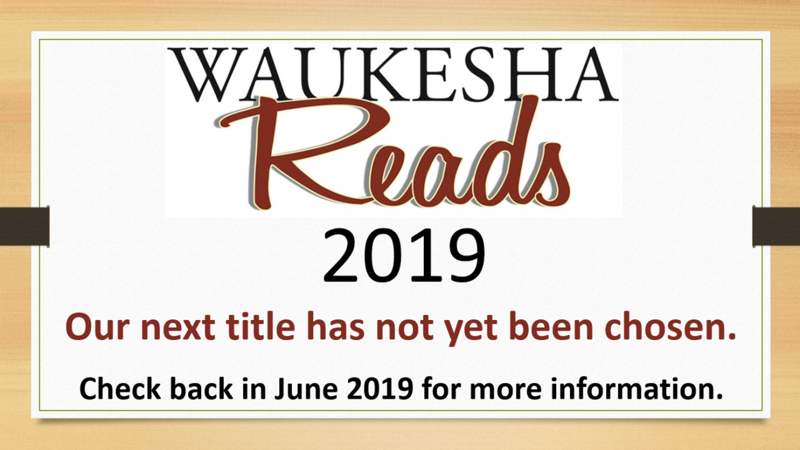 Sign up for the Waukesha Public Library newsletter so you don't miss a single event!